We arrive at check in with a few hours to spare, the girl behind the counter smiles; one of those corporate smiles that mean nothing, full of good intentions but no emotion. We make our way to the coffee bar, ‘Ritazza’, standing on the periphery of the coffee shop are two rather rotund girls necking lager, dressed in leggings and baggy t-shirts these two twenty something’s laugh like crows at each others jokes. I have something that is supposed to resemble tea; it’s hot but I’m sure there must be some body that one can complain to about false advertising or such like. I sit down with my cup of beige liquid and an insipid looking egg sandwich, as a group of males of various ages descend upon the coffee bar. Dressed in matching black shirts, the men range from early twenties through to mid forties, emblazoned across the shirtfronts is ‘RIGA 2008’; I assume the men are off to celebrate the impending marriage of one of the group, as this Latvian town has in recent years become a Mecca for men wanting to celebrate with ‘The Stag’. Each of them has something different embroidered across the shoulders, ‘DBD’, ‘Fat Al’ and ‘Skidmark’ to name a few. I watch as they begin to sink lager at an alarming rate; looking at my watch I note that at 05.20 the sun has many hours to go before it’s over that proverbial yardarm. Before long the two legging wearing girls are swallowed up by the men and become part of their party. A handsome man joins the queue for beverages, despite his informal attire and untamed mane of hair, the colour of polished chrome, it’s obvious he’s Italian; only an Italian can look the epitome of style and good grooming this early in the morning. Italy, home of the stylish, chaotic and cultured, has always held a special place in my heart, ever since my first visit back in the early eighties; big hair and shoulder pads met la dolce vita and never looked back. The reason for my trip is to view houses, and hopefully find one that will tempt me to climb that first rung on the holiday home ladder. As I shuffle along with my fellow passengers onto the plane, my head is filled with images of sitting drinking wine as an Italian sun sets over olive groves, I also make a mental note to book priority boarding in future. We are an eclectic mix of people, all sat inside the metal tube as it leaves the East Midlands en route to Rome. I’m sat next to a Russian gentleman that within minutes of take off falls asleep and snores like a train; thankfully I have my iPod and as usual it’s set to shuffle. With the earphones installed within my ears the aeroplane’s engines are reduced to a throbbing as the opening bars of ‘Chocolate’ by Snow Patrol build as I slip into my own world. Three hours later we are driving up the A24 towards the L’Aquila, the capital city of the Abruzzo region. 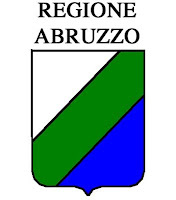 Abruzzo is a largely unknown region of Italy, but with its national parks and mountain ranges it is beautiful and unspoilt, and in my opinion gives Tuscany a run for its ‘euros’. Hom e of the Apennine mountain range and the dominant three peaked Gran Sasso; meaning ‘Great Stone’, Abruzzo is a haven for winter sports enthusiasts but this region has much more than just skiing and snow boarding to offer, with the beaches just forty five minutes drive away in Pescara and the magnificent Parco Nazionale with its wild boar and bears on your doorstep, what more could you need to keep you occupied on those lazy summer afternoons? And what could be nicer than enjoying a winter’s evening warm and cosy with a glass of wine as the howl of an Apennine wolf carries on the wind. I check into the Hotel Duomo on Via Dragonetti, and as I look out over the vast Piazza beneath my window, I sigh: A contented sigh that indicates I am at peace: Italy always has the ability to make me feel calm and stress free; even the frenetic driving doesn’t phase me. My iPod is set up on its portable speaker dock and the room is filled with Carol Decker’s voice, ‘Only The Lonely’ from T’Pau’s second album ‘Rage’ plays as I unpack, before taking a stroll along Corso Federico. I enjoy an espresso as the town goes about it’s daily routine. L’Aquila, meaning ‘The Eagle’ has a market every day except Sunday in the Piazza Duomo, where traders sell fresh produce, household items and clothing; and for those in need of a snack, I can recommend the panino con porchetta sold outside the Duomo. The day closes with a final stroll around the town and a few glasses of a delicious dark red Montepulciano.